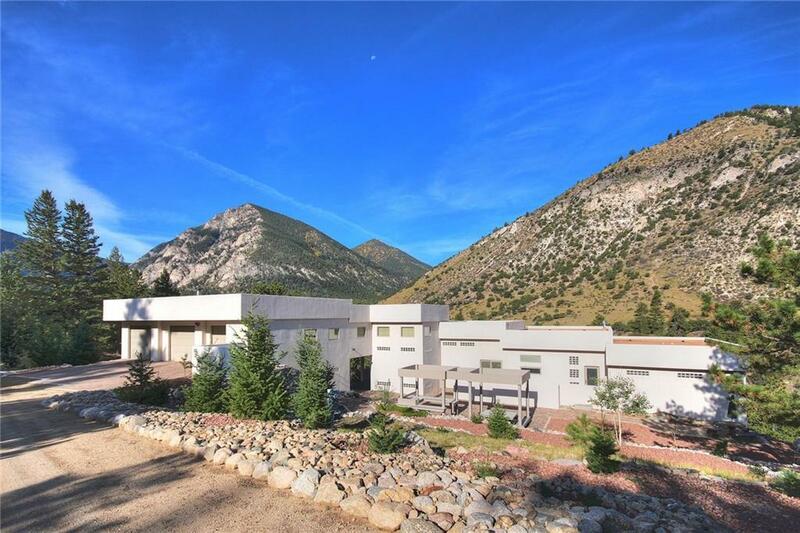 Stunning Mountain Modern, F. L. Wright inspired, 7.36 private acres, bordering National Forest, 500 of Cottonwood Creek frontage, healthy pine/aspen forest, spectacular views in all directions from every room in the house and four decks. 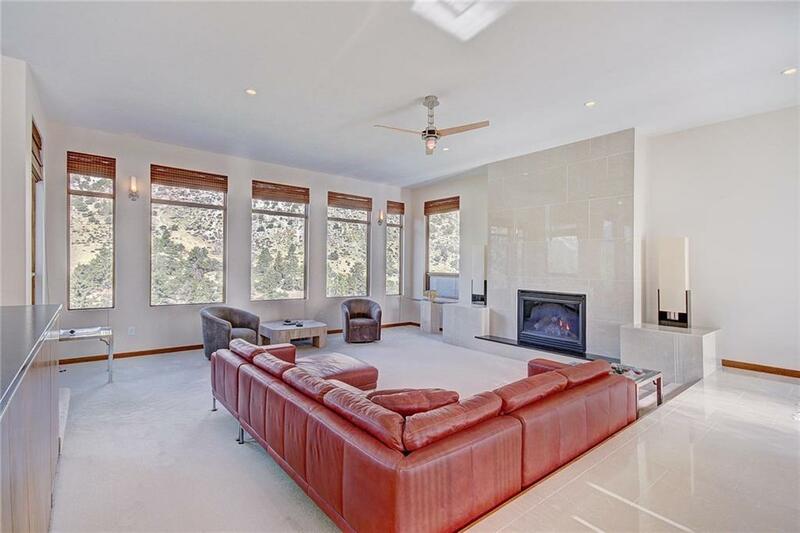 Australian black leather granite, maple cabinetry, large polished porcelain tile, two fireplaces, blending with nature, wildlife, breeze through the pine trees and cascading creek. 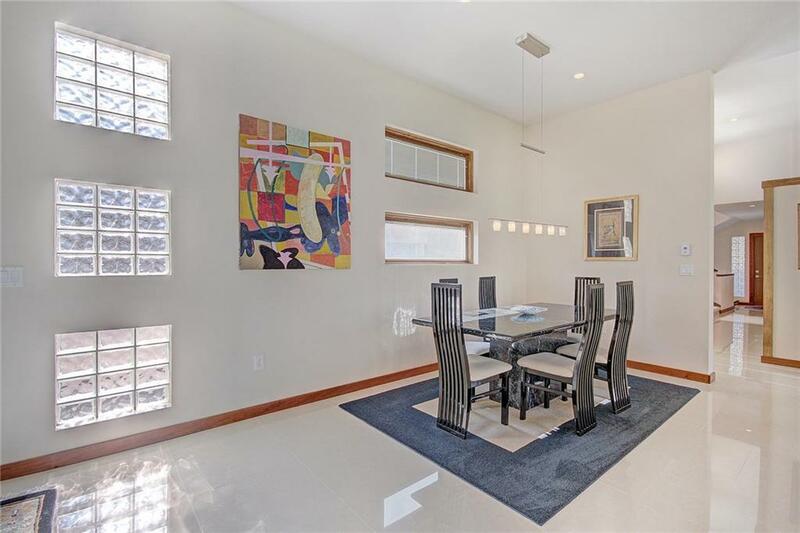 Perfect central Colorado Rocky Mountain setting, only five miles to Buena Vista.